Hello and welcome back to Dear Dodai, in which I answer questions about navigating problematic situations, in an attempt to assist the needy and school fools. Let’s jump right into it, shall we? My partner and I are having our first child and trying to figure out a last name that challenges the patriarchy and would also somehow reflect the child’s multiracial heritage. The father is Caucasian and the mother, that’s me, is Chinese. But we aren’t too keen on hyphenation, and think coming up with a whole new last name portmanteau is silly. We also want to avoid anything too clunky, like multiple names or last names. Plus, it’s only inevitable that the penultimate name would often get dropped, right? We’re not married, so still each have our own family names. My partner feels strongly about passing on his last name and thinks his heritage/history/family tie is important and wonders how people will recognize us as a family unit if we all have different last names. I feel more strongly about bucking the patriarchy, but would also like my child’s last name to reflect my heritage in some way. What’s a good, fair, and creative but not obnoxious solution? Reader, I’ll be honest. This is a tough one. I am all for bucking the patriarchy and having a name that telegraphs heritage. But there’s no easy answer here. A lot of people would just concede that using two names is the way to go—Kiddo Chan-Smith or Baby Smith Chan. 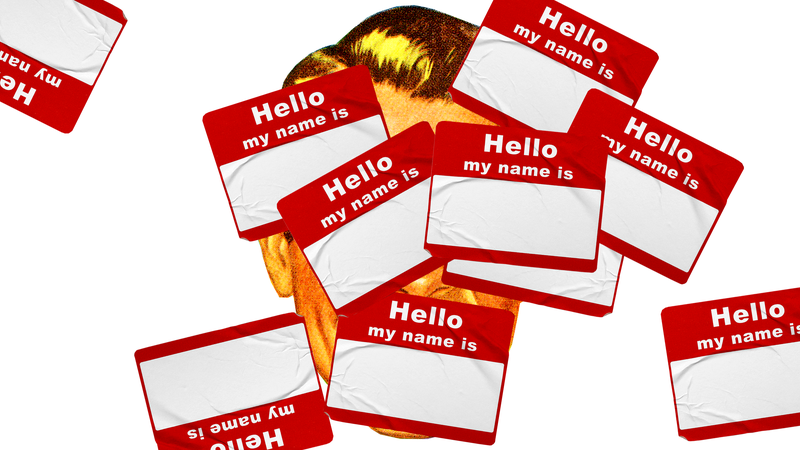 Another alternative is the last name as first name—my sister has our mother’s maiden name as part of her hyphenated first name and our father’s last name as her last name, i.e. Chan-Ann Smith—but since you’re interested in dismantling the father’s-name-is-the-kid’s-last-name tradition, that won’t work for you. And my guess is you wouldn’t be happy with just your partner’s last name as a first name and your last name as a last name (Smith Chan). The truth? There probably isn’t a “good, fair, and creative but not obnoxious” solution that will make both of you happy. But as you turn from a couple into a family, you’re learning an important lesson: Family is about sacrifice and compromise. Parenting means your body is not your own, your time is not your own, your life is not your own, and your decisions impact a group, not just a party of one. One of you will have to give in—hopefully in a way that minimizes the burden Bambino Chan-Smith has to bear. Sacrifice! That said, perhaps your fellow readers can offer you some options? Shall we crowdsource the perfect feminist Chinese-Caucasian baby name below? Experiencing sexist microaggressions at work? Coerced into spending holidays with Trump-voter in-laws? Beset upon by racists? Let me help you help yourself. Email me at deardodai@splinternews.com, or leave a comment below. Dear Dodai: Is It OK to Buy Aunt Jemima Syrup?